DIESEL FUEL SPILLS – GASOLINE SPILLS. Buy Online & Ships Fast! Remove Oil Stains From Concrete, Asphalt, Stone, Driveway, Garage Floor, Parking Lot and more. Remediate Petroleum Spills – Remove Diesel, Gasoline, Furnace Oil (Heating Oil), From Soil & Water. Degrease Equipment, Tools, Automotive Parts. Non-Toxic, No Solvents, Better For You & Environment! Marine Applications – Clean Bilges, Clean Hull, Clean Decks, Clean Fueling Spills in Eco Friendly Way & Fast! WHAT IS PETRO BUSTER? Designed to be an Eco Friendly Petroleum Remediation product that also acts as a great Eco Degreaser. It can deal with Petroleum Environmental issues ranging from removing an Oil Stain from your Driveway, to being used as a Remediation product and completely removing Petroleum Leaks and Spills from the Ground and Water. WHETHER YOU JUST NEED THE QUICK SPRAY BOTTLE OR THE LARGER PAILS for more serious cleanups and spills. Petro Buster is the Best and Most Environmental Friendly Way of dealing with Motor Oil, Diesel, Furnace Oil, Heating Oil, Gasoline leaks and spills. PETRO BUSTER IS A CLEANING PRODUCT WITH ENZYMES & MICROBES It doesn’t just clean hydrocarbon based pollution, it removes it completely from the environment by ingesting it and converting it to Water, Oxygen and Carbon Dioxide. It is a surfactant ie: soap base that also acts as a dispersant to help thin the density of a petroleum plume in the ground or water which ultimately causes it to biodegrade naturally. Our biodegradable remediation formula is made for us by a $6 Billion per year, global biologic company that is well know for enzyme and microbe development. The microbes used are patented by a scientist in the United States and were developed specifically to be highly resilient biodegradable friendly bacteria that consume hydrocarbons. Our formula has enzymes and microbes in it that break down and consume the hydrocarbons in Petroleum. The formula has been Eco Logo approved as a completely biodegradable cleaning product. It breaks the barrier between petroleum and water allowing the water to dilute the petroleum while the microbes and enzymes breakdown and consume the hydrocarbons while dispersing and diluting the petroleum plume. 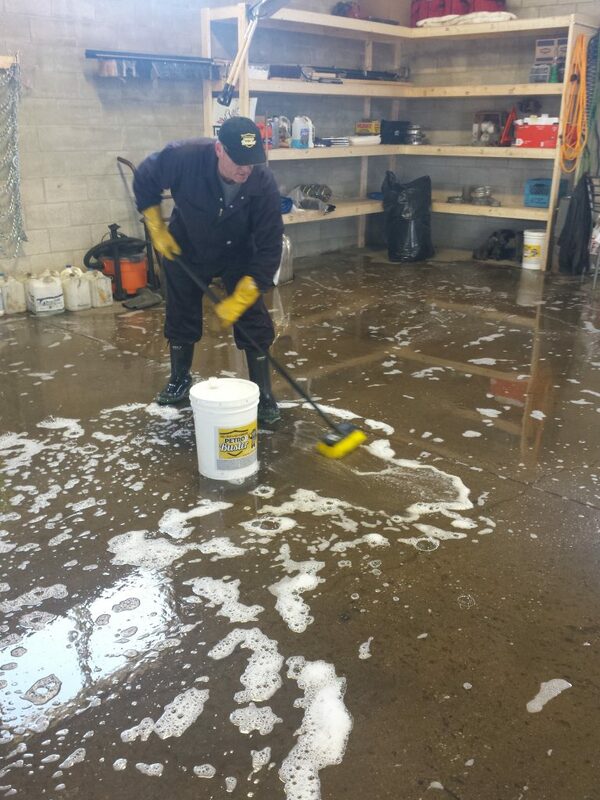 If you’re trying to clean furnace oil spills, clean diesel fuel spills, clean oil spills, clean gasoline spills, clean grease or any petroleum product from concrete, asphalt, soil, water or fabric, Petro Buster is the Eco Cleaner you’re looking for! PETRO BUSTER HAS BEEN USED SUCCESSFULLY TO CLEAN UP POLLUTED PHASE II SITES that were recent and very old contamination issues. It is also a great option for economically and non invasively cleaning “Brown Field” properties. It is the perfect solution for quick response and general cleanup. We are members of the Canadian Oil Heat Association (COHA) and have been active in helping the “Oil Heat” industry stay ahead of environmental issues. WHO’S INVOLVED WITH THE DEVELOPMENT OF THE PRODUCT? Bill Fligg is the President of Petro Buster Inc.. Bill has over 17 years experience in the petroleum industry. He managed a petroleum business with petroleum products ranging from commercial diesel fuel, gasoline and heating oil. Bill dealt with furnace oil spills, diesel spills, gasoline spills, lawsuits and the environmental authorities. He dealt with all the issues associated to fuel spills. Bill has been involved with the Canadian Oil Heat Association for 17 years and attends the Canadian Independent Petroleum Marketers Association conferences for many years as well. Bill noticed a remediation company using a formula that looked like soap to clean petroleum spills and researched what it was. The formula was eco friendly, safe to wash your hands with and yet it had microbes in it that naturally biodegraded the hydrocarbons in Petroleum. This is when he wondered why this formula was not readily available to everyone who needed so he branded the formula which is now “Petro Buster” and marketed it around North America so everyone could have access to it. At that time he also used it regularly on his own petroleum spills to reduce the environmental impact of a spill at “THE TIME OF THE INCIDENT” and not wait for politics and bureaucracy to exponentially increase the costs of remediation by waiting for days, sometimes weeks to stop the damage. By reacting quickly, Bill and his team were able to mitigate many major lawsuits and reduce many claims with this formula. Clean brocken furnace oil line.